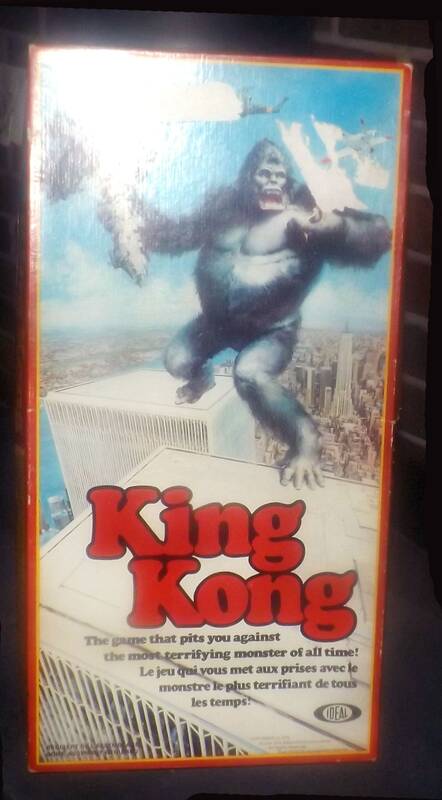 Vintage (1976) King Kong board game published by Ideal Corporation. Canadian English-French edition. Complete. 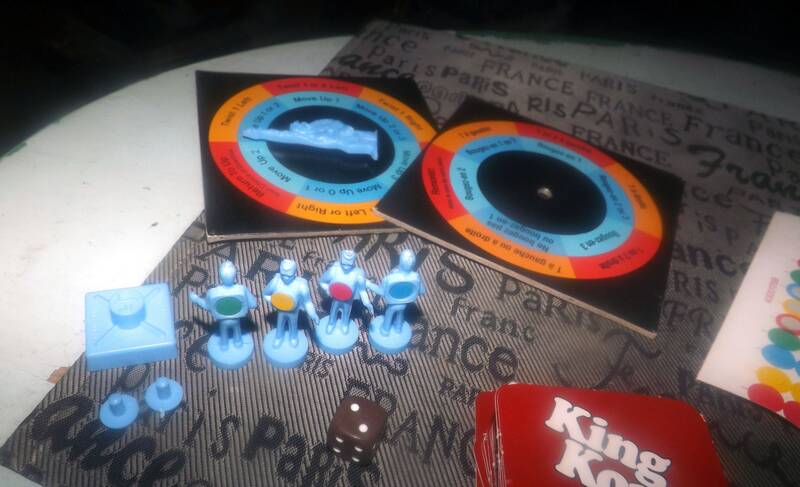 Vintage (1976) King Kong board game published by Ideal. This is the Canadian issue of the game with all written words appearing in both English and French. 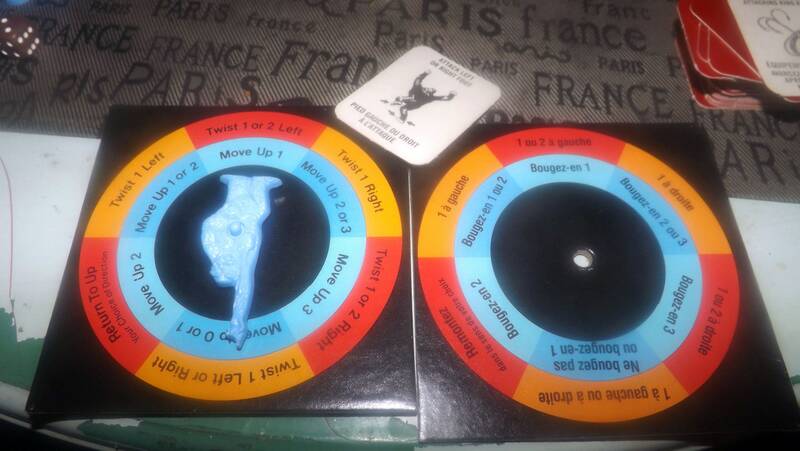 THIS GAME HAS BEEN INVENTORIED AND IS 100% COMPLETE WITH THE ORIGINAL INSTRUCTIONS. 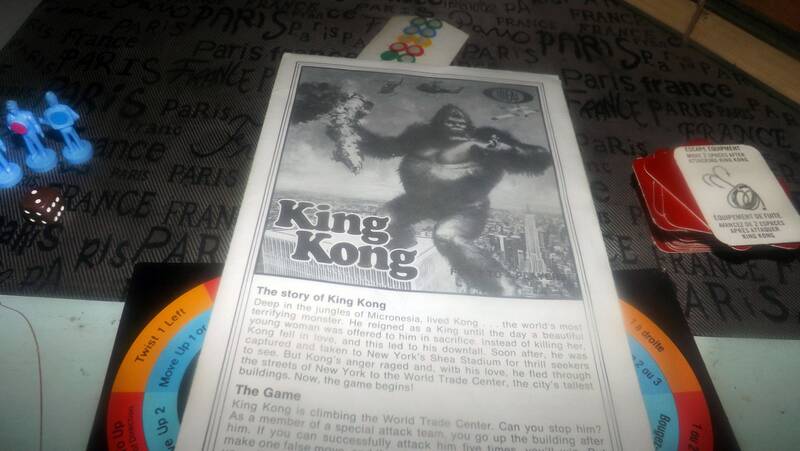 About the game: Released BY Ideal as a tie-in product with the 1976 remake of King Kong, the game box features promotional art take directly from the 1976 King Kong movie poster. This is a basic roll and move style game suitable for players of all ages, including the younger set. Players make their way towards King Kong, trying to prevent him from reaching the top of the World Trade Center. Of course, King Kong is no push over! He defends himself by spinning and knocking players off the board! Cards can help or hinder in your mission. 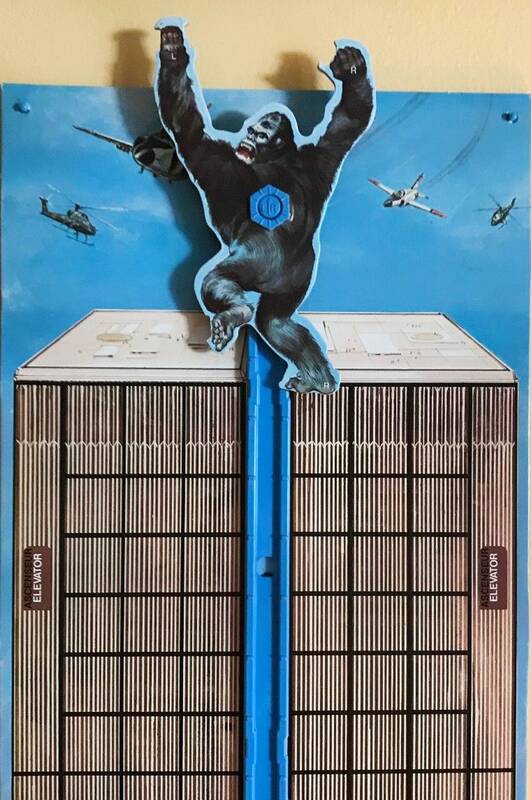 A player wins when he | she successfully completes five attack missions on King Kong before he reaches the top of the World Trade Center OR if he | she is the first to complete an attack mission, in addition to the Special Mission (rescuing the girl held captive in King Kong's right hand!). Great title for family game night! Condition of game: In EXCELLENT! condition for a game from the mid 1970s. The game board is strong and sturdy and stands correctly and well, as it should. 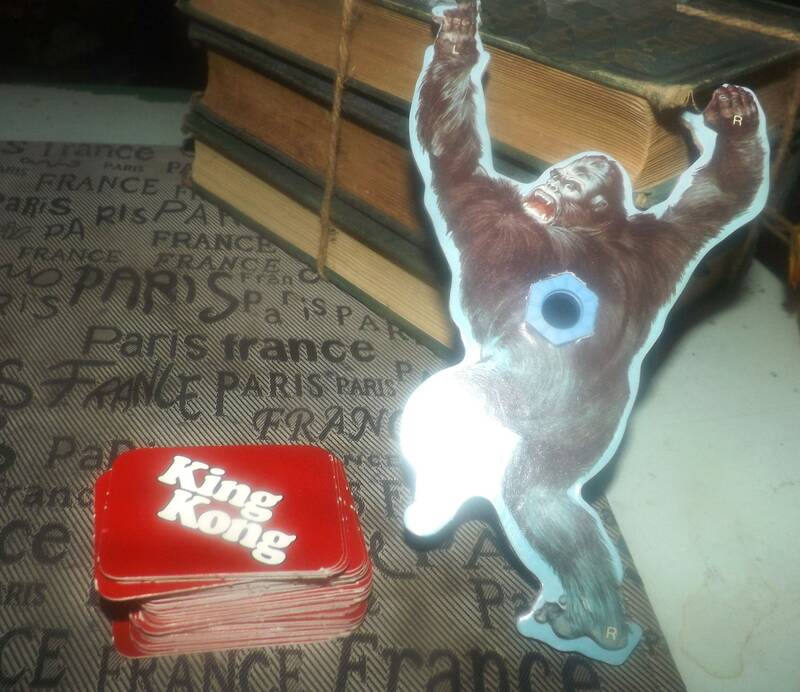 The tracks fit onto the game board nicely and King Kong slides up and down, when assembled, as he should. Game board has NO! rips or tears to the board fabric and the board graphics are bright and vivid with NO! fading apparent. Each of the pieces is in EXCELLENT!, clean and unbroken condition. Cards are clear and legible with NO! ripped, torn or creased cards in the deck and NO! dog-eared corners to the cards. The spinner device, which can be swapped to French if desired (there is an additional French language spinner in the box) works well and as it should. Original instruction booklet, in both English and French language, is here and is complete, clear and legible with NO! torn or dog-eared pages. Game box shows MODERATE! shelf wear. There are two blemishes to the front of the lid. Box bottom has one broken corner. Game box graphics are bright and vivid with MINIMAL! fading and box text is clear and legible.